Gal Gadot’s Wonder Woman may not have spoken in the various trailers for Batman v Superman: Dawn of Justice, but she’s certainly left an impression. The best glimpse of the character we’ve had so far came in the most recent promo, which saw the Man of Steel and The Dark Knight jokingly wondering which side the Amazonian warrior was on before giving us our first look at DC’s trinity in action. 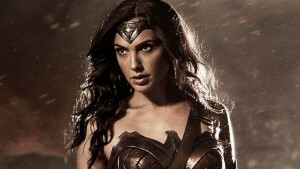 Speaking with Film Ink, director Zack Snyder confirmed that Wonder Woman’s role is “bigger than a cameo” while keeping mum on the context of the joke: “You have to see the movie, because it gears into the drama of what’s happening, and if you see it in the context of the film, it completely makes sense that the two of them were trying to figure out who she is…”. In the same interview, Snyder commented on why Gadot was the perfect choice for Wonder Woman: “We tested a bunch of actresses, as you can imagine. But the thing with Gal is that she’s strong, she’s beautiful, and she’s a kind person, which is interesting, but fierce at the same time. It’s that combination of being fierce but kind at the same time that we were looking for”. The most recent trailer for Batman v Superman was criticised for revealing too much, but in another interview with MTV Snyder noted that there is plenty which we haven’t seen: “I have the benefit of seeing the movie. It’s cool that they think it’s too much and I appreciate people not wanting to know, but there’s plenty that they don’t know. There’s a lot of movie that’s not in the trailer”. That should come as good news for fans who were worried they were being spoiled, but with Batman v Superman being so highly anticipated potential spoilers are always a possibility. For his part, Snyder would prefer if audiences knew as little as possible prior to watching the film in its entirety: “Of course I hate it when any spoilers come out! You design the movie as a story that evolves as you watch it, so moment-to-moment [you’re thinking], ‘Oh my god, what’s going to happen next? Are they gonna live? Are they gonna die?’ So you want that experience for the audience, as much as you can”. We agree Zack! 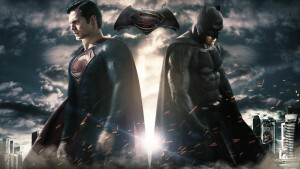 Directed by Zack Snyder and starring Henry Cavill, Ben Affleck, Diane Lane, Gal Gadot, Jesse Eisenberg, Jeremy Irons, Laurence Fishburne and Amy Adams, Batman v Superman: Dawn of Justice will arrive in UK and US cinemas on March 25, 2016.